This is the true story of the European bomber war, as told by the combatants themselves-and by the sometimes bemused English villagers who came to love "their yanks." 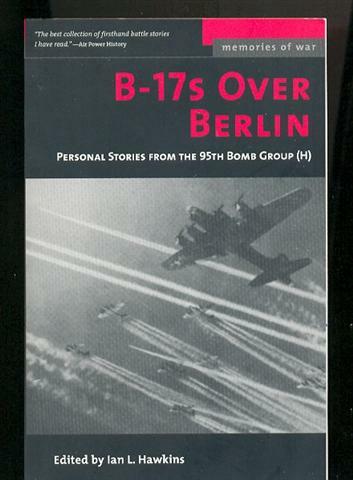 B-17s Over Berlin focuses on the 95th Bomb Group (H), the first American unit to strike Berlin in a daylight raid and winner of three Presidential Distinguished Unit citations. Its vivid personal stories chronicle furious air combat, fiery crashes, terrifying captures, heart-pounding escapes, and friendships forged for life. Caught up in a global war, the men of the legendary 95th found the courage to alter the course of history. "A mini-blockbuster covering the whole range of human emotions.....Fear and terror rub shoulders with humour and happiness throughout..... You will have trouble putting this book down." "An outstanding work, a prodigious research effort, and a very valuable historical record." "I give it a 10+."